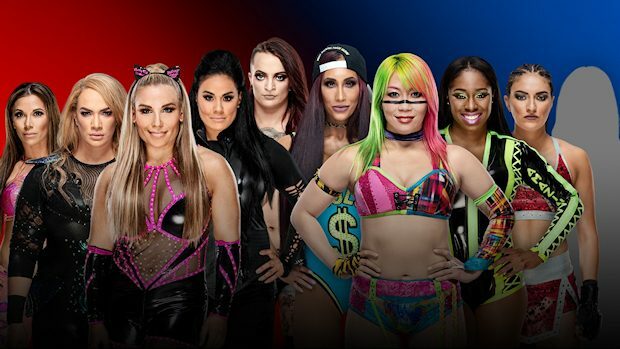 As a crucial part of Raw and SmackDown’s battle for brand supremacy at Survivor Series, the 5-on-5 Women’s Traditional Survivor Series Elimination Match promises to be an explosive encounter. We now know who the fifth member of the SmackDown Women’s Survivor Series Team will be … Mandy Rose. During a backstage segment on the Survivor Series Kickoff, Naomi announced herself as captain and revealed Rose as the final member of the group (after R-Truth interrupted Naomi’s announcement to say that he’s the fifth member). Rose then entered the room and spoke to Asuka, Carmella, Naomi and Sonya Deville. She said tonight could be one of the biggest nights of their careers and that she’s not throwing it away by fighting with them. Shortly thereafter, a backstage segment aired with Alexa Bliss speaking to the Raw Women’s Survivor Series Team. There was a fight between Natalya and Ruby Riott, leading Alexa to threaten to remove them from the team if they could not get along. WWE then aired a graphic showing that Natalya and Ruby have been pulled from the match. Natalya addressed the matter in this tweet. The 5-on-5 Women’s Traditional Survivor Series Elimination Match now looks like Asuka, Carmella, Mandy Rose, Naomi, and Sonya Deville against Mickie James, Nia Jax, Tamina and two Raw Superstars to be determined.